Leeds Rhinos Foundation work with schools across Leeds, delivering projects that give pupils the opportunity to learn the fundamentals of rugby, grow in confidence and have fun. 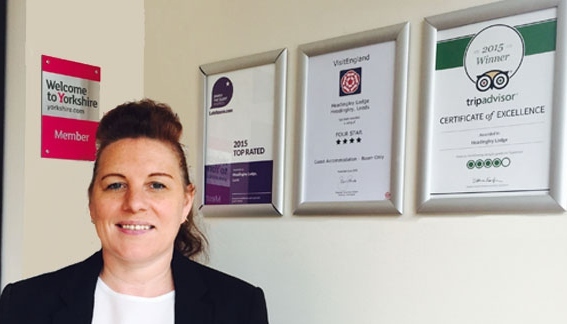 Our staff, who are all qualified coaches, work closely with schools to deliver activities that will benefit their students. 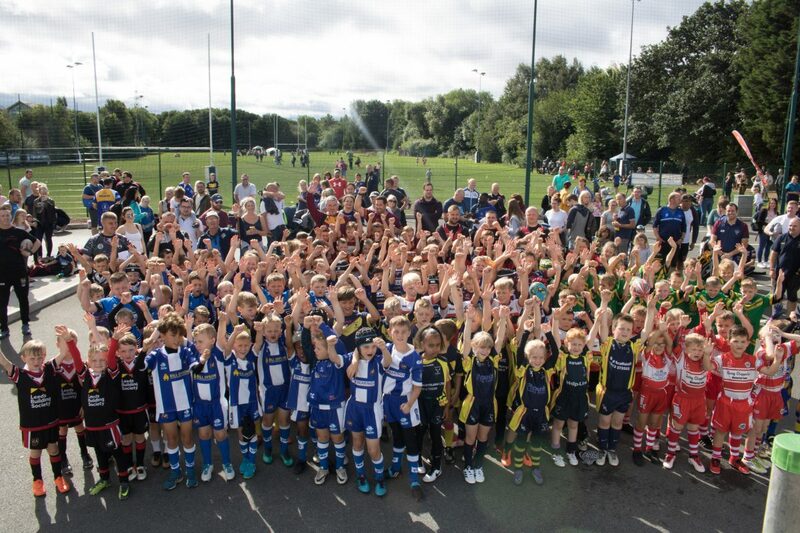 Using the powerful impact of sport we are able to inspire children to live healthy lifestyles, understand the importance of team work and offer unforgettable experiences for the children such as meeting Rhinos players, visiting Emerald Headingley Stadiumand taking part in pre-match flag bearing ceremonies at Rhinos home games. 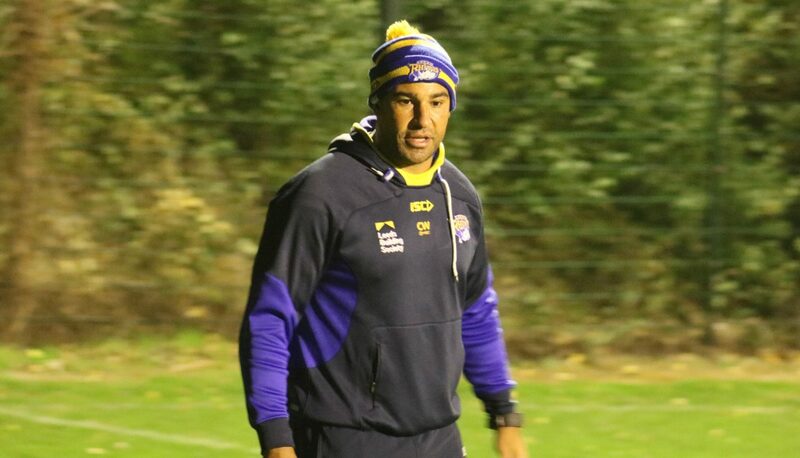 Leeds Rhinos are one of the most successful teams in the history of Rugby League and in the last ten years have enjoyed a Golden Decade that has seen them win Super League titles, the World Club Challenge Trophy and a brace of Challenge Cups with a team made up of local heroes. 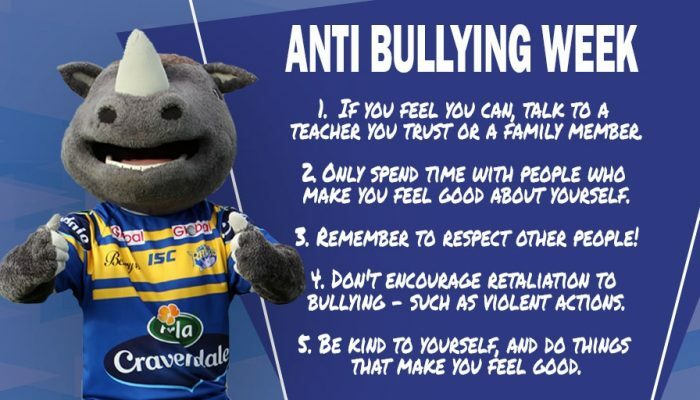 Staff with the help of the famous Leeds Rhinos Mascot Ronnie the Rhino deliver engaging and memorable assemblies, looking at the qualities the Rhinos’ players have demonstrated to make them so successful. 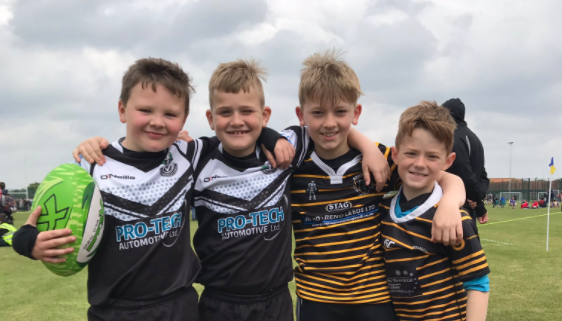 We have various options available to primary schools, such as tag rugby coaching, dance and multi skills delivery – all of which can be tailored to suit the needs of the school and age of the children. Rugby Festivals combine both the assembly talks and coaching programme, and culminates with a rugby festival where the school is invited to play against fellow schools at an amateur club setting. This is great fun for all and allows the children to use the skills they have learned during the coaching sessions in a special tournament. 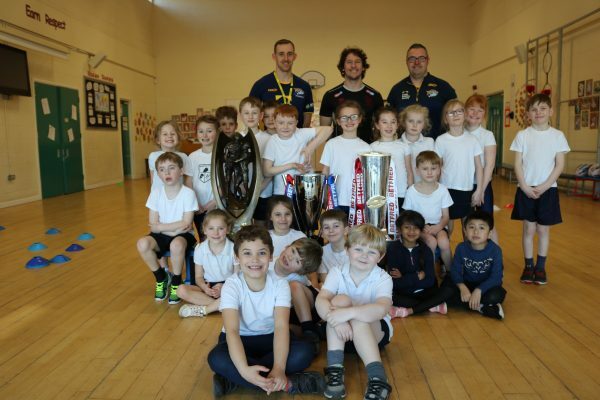 In 2014, the Leeds Rhinos Foundation added dance coaching to our range of activities that we are able to offer Primary School children. Dance is now a huge part of the Leeds Rhinos experience, with the club having a professional Dance Team performance at every home game as well as their own Rhinestones Dance Academy for young dancers. Led by the Foundation’s Dance Development Officer, Nicola Booth, who is also the Dance Captain for the Rhinos’ Heart Dance team we are able to offer either a six session dance coaching programme or a one day tailored dance workshop. 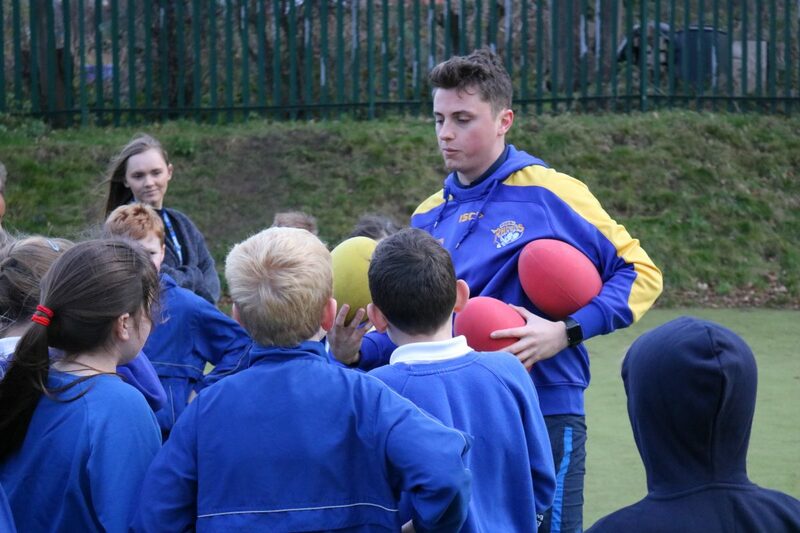 Leeds Rhinos Foundation is dedicated to supporting our local Schools and one of the best ways we are able to do this is through our School Ambassador Scheme. 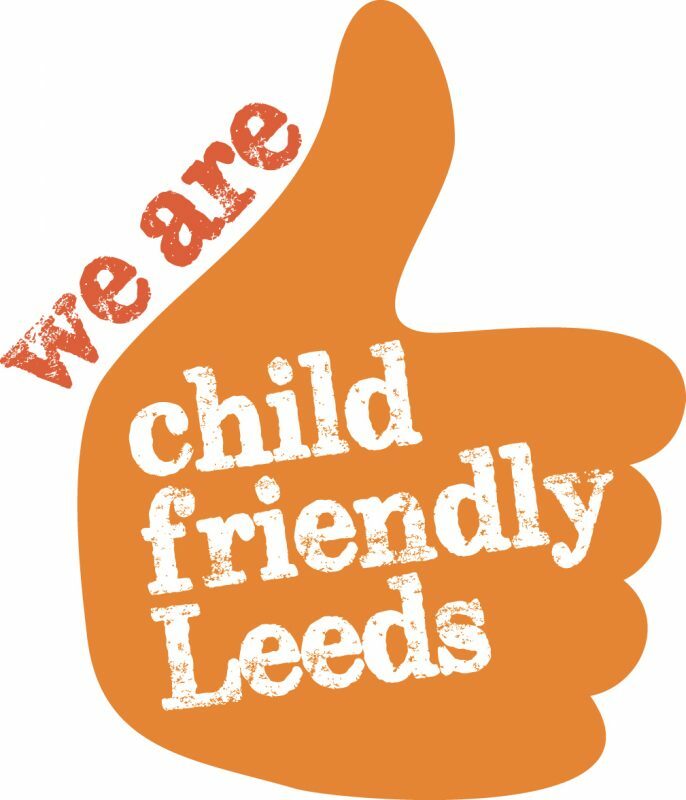 There are a number of incentives offered to schools who are part of the Ambassador Scheme, such as group trips to watch the Rhinos, player visits and opportunities to take part in match day activity on the Emerald Headingley Stadium pitch.